A Career Move? Why Not? What Does Your Heart Beat For? For many administrative professionals, this is the single hardest moment of your annual performance review. You watch your executive staring at your from across the desk, waiting for a response that you don’t know how to provide. We all want to be more productive, increase revenue, decrease errors, and be a more valuable asset to our executive and our organization. But putting these goals into words and describing the specific ways we’ll accomplish them is often easier said than done. And if you’re asked to tie your specific goals in with existing company objectives, it can be even more difficult. Goal setting is a process, and it’s not something to be taken lightly. Your performance review scores are likely tied to your specific goals. They may have a direct impact on your salary and bonuses. And your ability to set (and achieve) these milestones often determines whether you’re chosen or passed over for promotions or other career opportunities. It may seem like a hassle, depending on the way your company handles the process. And often, it can feel like goal setting is just one more thing heaped on your already full plate – one more to-do on your list that you really don’t have time to deal with. But it really is an important annual exercise that benefits your career and your company’s ultimate success! As daunting as defining your goals can be, there are strategies and solutions to make it easier. A strategic administrative career plan is a combination of your personal vision, mission, and goals that guides your professional growth and development. Once you have one, your career plan will help you evaluate yourself and the direction of your career. It shows you where you are now, and it provides a roadmap to get you where you want to be. It also gives you plenty of ideas for setting strategic goals. You must begin with a strategic career plan so you are crystal clear on the direction you want to go. It will help guide all of the decisions you make related to investing money in training and networking, which skills you want to improve or develop, and ultimately, where you want your career to take you. 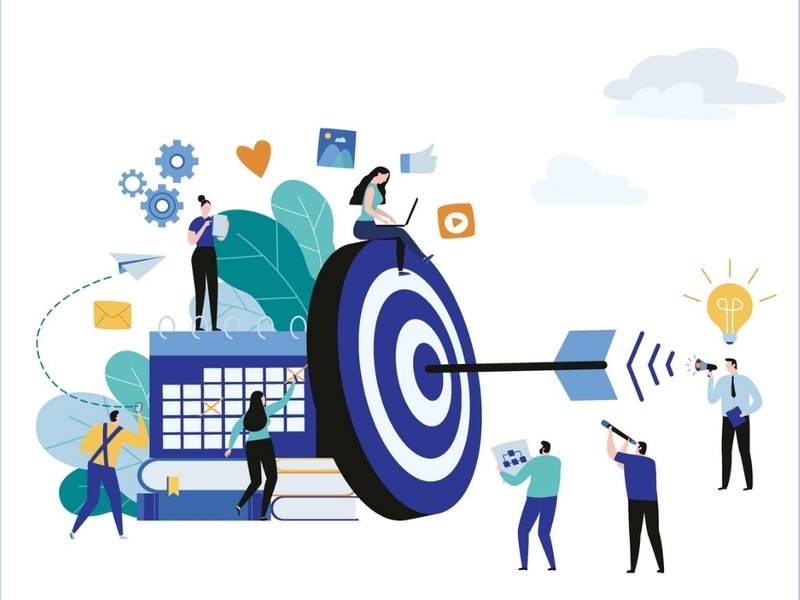 Most companies prefer that individual goals be tied in to higher-level objectives – but you can’t do that until you know what those objectives are. Have a meeting with your human resources department and/or your executive before your official performance review. Ask pointed questions about where the company is headed, and what they’d like to accomplish over the next quarter or year. Ask how they see you contributing to the company’s success. Take detailed notes. Once you have this information, it’s easier to tailor your goals to your department’s or organization’s objectives. Typically, goal setting cascades down from the top. A company objective is determined, then a division goal, department goal, team goal – all the way down to the individual level. However, research has shown that engagement and motivation increases in employees who can see how their goals directly contribute to the organization’s objectives. Don’t be so hyper-focused on tying your goals in with the company’s that you forget the purpose of your independent goals. If you see an area to improve, feel free to mention it. There’s no hard and fast rule that says every goal must cascade from the top down – an individual goal you set for yourself could be the catalyst for preparing you for a promotion, improving operational effectiveness, or launching a new initiative! Many organizations are now using goal setting software that can help you create and improve your goals based on objectives that other people in the company have set or proposed. These programs often come complete with tutorials and information to help you work through your thought process and get your goals down on paper. If these tools are available, use them! If not, there are several web-based programs that allow you to plan and track your goals online. No matter what company you work for, there are some categories that every organization strives to improve. But often these objectives are so broad, it seems impossible to tailor a specific, individual goal to them. Every organization needs to be profitable to stay in business. The company’s goal may be to increase sales by 15% over the next year, secure six new clients each month, or cut overhead expenses by 10% this quarter. As an admin, you may not have direct control over any of those objectives. But that doesn’t mean you can’t contribute. Your goal could involve creating documented procedures and systems that save the company time and money, or becoming more proficient at accounting software that allows you to increase accuracy, decrease man hours, and be better equipped to spot money-saving opportunities. The cost of replacing an employee continues to climb, with many organizations putting it between $3,500 and $25,000, depending on salary and skill level. So, it makes sense that companies are desperate to reduce turnover, often listing it as one of their annual goals. But how can you help within the scope of your position? Again, you’re not powerless. Your goal might center around creating an onboarding program for new hires in your department that introduces them to the company leadership, provides necessary procedures and training on company basics, pairs them with a mentor, and makes them feel welcome and appreciated. Efficiency and productivity are more than corporate buzzwords – they can make or break an entire organization. There are plenty of company goals that center around improving in this area – and fortunately, administrative professionals are well-suited to lend a helping hand. Admins can always find ways to be more efficient. Creating good systems and documenting our procedures helps us do this automatically. But going deeper, creating a better method for ordering office supplies, developing coordinated approaches to working with key vendors, and streamlining event planning can help drive costs down and improve efficiencies across the board. For instance, becoming more proficient in PowerPoint can help reduce errors and editing time on presentations. If skills learned in one PowerPoint course save you 20 minutes on every presentation and you edit at least 50 presentations a year, that’s 1000 minutes of time (more than 16 hours) that you’ll save each year. Good goal setting practices require S.M.A.R.T. goals – goals that are Specific, Measurable, Attainable, Realistic, and Time-based. Compare the following two goals. The first goal is attainable and realistic. However, it lack specificity, a way to measure progress, and a clear end date. The second goal fixes all of these problems, as well as outlining why it’s important and how the end product will be maintained after it’s been created. The two goals are the same, but the iteration of the second version is what every employer wants to see! Many admins struggle with writing meaningful performance goals. However, it’s a skill that can be developed and sharpened over time, and the more you hone it, the more successful you’ll be and the more value you will bring to your organization. 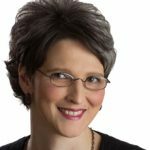 Julie Perrine is an administrative expert, author, speaker, and all-around procedures pro. She is the founder and CEO of All Things Admin, a company dedicated to developing innovative products, training, and resources for administrative professionals worldwide. Learn more about Julie’s latest book, Become A Procedures Pro: The Admin’s Guide to Developing Effective Systems and Procedures and download free templates at ProceduresPro.com and AllThingsAdmin.com. Follow Julie on Twitter: @julieperrine. “Like” All Things Admin on Facebook: Facebook.com/AllThingsAdmin. 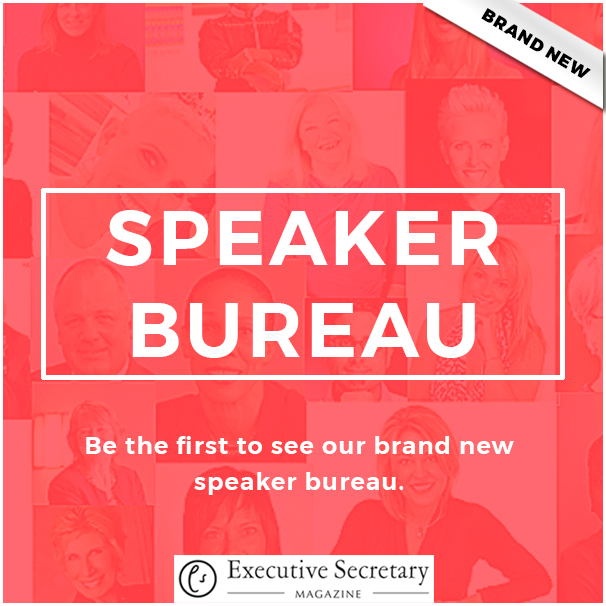 Book Your Place at Executive Secretary LIVE Now! May 25, 2015 14 Good boss or bad boss?